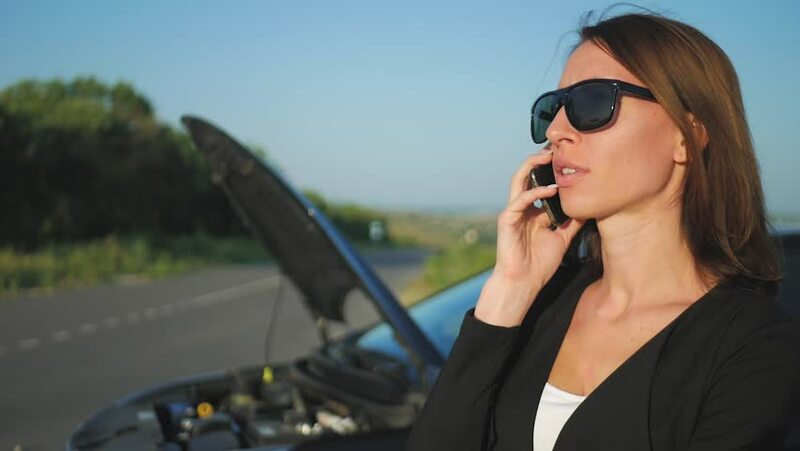 Girl near broken car on road is calling on mobile phone. hd00:30Business person on phone against newer blue car with waving wheat field in background, and bright blue sky. hd00:15Girl near broken car on road is calling on mobile phone.